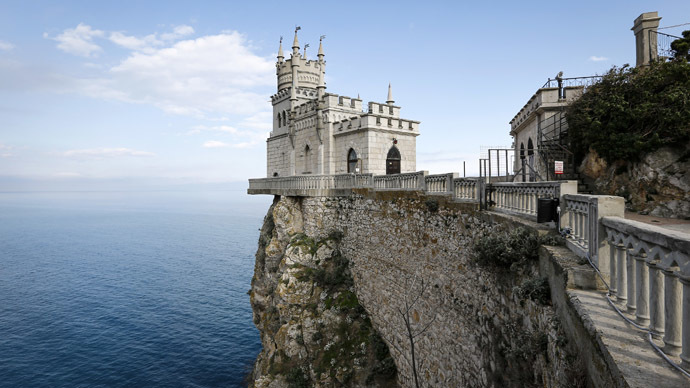 Kiev will nationalize Russian overseas property as compensation for the losses over Crimea’s reunification with Russia, Ukraine’s Deputy Minister of Justice Natalia Sevostyanova said. The decision is now up to the European Court of Human Rights. Ukraine will be able to use this effective instrument if the European Court of Human Rights rules in favor of Kiev, Sevostyanova told “Channel 5,” Ukraine’s National News (UNN) reported on Tuesday. "There will be a stage of satisfaction, when we’ll determine the amount by which the compensation will be directly paid to... The tool of property seizure is very effective abroad. Russia currently has a lot of such property in other countries," Sevostyanova said. More than 400 Ukrainian companies and 18 gas fields have been nationalized in Crimea, according to Ukraine’s Ministry of Justice. Crimea rejoined Russia in March 2014 after a referendum where the majority of people voted for secession from Ukraine and for joining Russia. Ukraine then called the result of the referendum Russia’s “illegal annexation” of the peninsula and filed its first lawsuit against Moscow to the European Court of Human Rights. Kiev estimated its losses at over 1 trillion hryvnia ($47 billion). Later, the country filed another lawsuit, related to the Donbass, over Moscow’s alleged involvement in the military conflict in southeastern Ukraine. The reunion of Crimea and Sevastopol with Russia complies with international law, Russian Justice Minister Aleksandr Konovalov said last week.